31.8.2018 Public observation of the night sky within the “Earth without borders” festival in Osijek. 31.8.-2.9.2018 Participation in the International meteor conference in Pezinok, Slovakia. 6.-15.8.2018 Participation in the Višnjan School of Astronomy, leading the supernova search group. 28.7.2018 Observation and imaging of Venus, Jupiter, Saturn and Mars. 27.7.2018 Public observation of the total lunar eclipse (hindered by rain). 26.7.2018 Guest appearance on Osijek TV explaining the lunar eclipse. 23.6.2018 Traditional yearly astro barbecue. 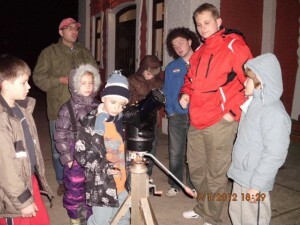 29.4.2018 Participation in a meteorite search in Križevci. 21.4.2018 Observation of the night sky from Marijanski Ivanovci. 20.4.2018 Festival of Science lecture for students of High School “Izidor Kršnjavi” in Našice. 29.-31.12.2017 Yearly assembly of the society. 10.10.2017 Festival of Science lecture for students of High School “Izidor Kršnjavi” in Našice. 21.-24.9.2017 Participation in the International meteor conference in Petnica, Serbia. 20.8.2017 Participation in the Višnjan School of Astronomy, leading the meteor group. 29.7.2017 Traditional yearly astro barbecue. 10.6.2017 Participation in Days of Technology in Belišće. 26.1.2017 Visited the Bug Future Show. 13.1.2017 Lecture for students of Elementary School “Josip Kozarac” in Josipovac Punitovački. 28.12.2016 Yearly assembly of the society. 13.12.2016 Attended a lecture by K. Korlević in Osijek. 14.11.2016 Organized an astrophoto exhibition for 20 years of the society, in “Fran Galović” High School in Koprivnica. 24.10.2016 Attended a lecture by A. Radonić in Osijek. 7.10.2016 Public lecture for the “Osijek summer” event (observation cancelled due to coluds). October 2016 Participation in Višnjan Youth Science Camp. 26.8.2016 Participation in Fišijada Belišće. 20.8.2016 Participation in the Višnjan School of Astronomy, leading the meteor group. 12.8.2016 Observation of Perseids from Papuk mountain. 2.8.2016 Astro party on Papuk mountain. 28.7.2016 Organized an astrophoto exhibition for 20 years of the society, in Theater Caffe Belišće. 2.7.2016 Traditional yearly astro barbecue. 2.-5.6.2016 Participation in the International meteor conference in Egmond, Netherlands. 14.5.2016 Participation in Osijek Mini Maker Fair. 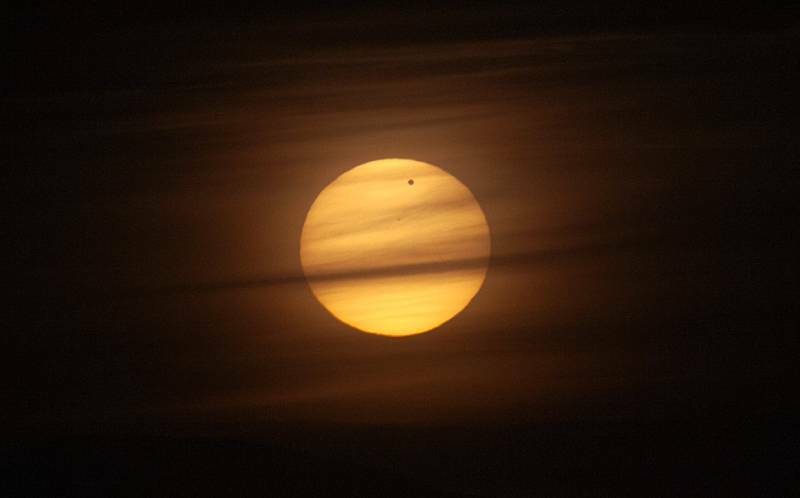 9.5.2016 Observation of the Mercury solar transit from elementary schools in Valpovo and Belišće. 13.4.2016 Attended a lecture by V. Vujnović in Osijek. 18.3.2016 Participation in Night without light in Osijek. Public observation of the skies. 26.12.2015 Yearly assembly of the society. 5.10.2015 Lecture for elementary school students in Ladimirevci. 18.-20.9.2015 Participation in the assembly of the Croatian Astronomical Union in Mali Lošinj. 27.-30.8.2015 Participation in the International meteor conference in Mistelbach, Austria. 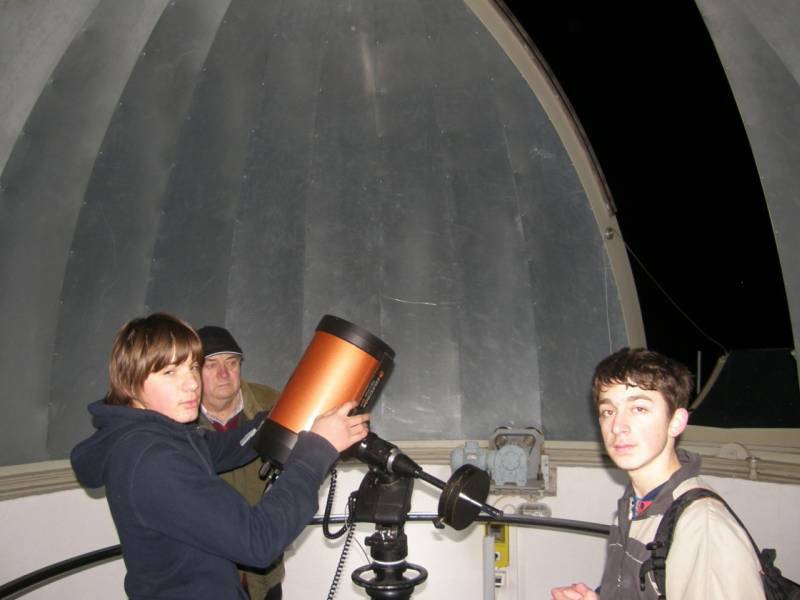 27.7.-6.8.2015 Participation in the Višnjan School of Astronomy, leading the meteor group. 22.7.2015 Statutory assembly of the society. 11.7.2015 Traditional yearly astro barbecue. 26.6.2015 Participation in a series of lectures on the Križevci meteorite in Križevci. 30.5.2015 Public lecture about ALMA in hotel Villa Valpovo. 23.5.2015 Participation in Days of Technology in Belišće. 16.5.2015 Attended a lecture by astronaut M. Ivins in Osijek. 20.3.2015 Public observation of the partial solar eclipse in elementary school “Matija Petar Katančić” in Valpovo, high school “Vinko Bek” in Osijek, geodesy school in Osijek and Faculty of Electrical Engineering in Osijek. 18.-19.3.2015 Organized 3 lectures by K. Korlević in Osijek. 14.2.2015 Observation and imaging of Jupiter. 27.12.2014 Yearly assembly of the society. 29.11.2014 Celebartion of the 20 years of society. 7.-9.11.2014 Attended the Autumn Videometeor Seminar in Modra-Piesky, Slovakia. 28.10.2014 Lecture “Where to go? Astronomy!” on the Physics Department in Osijek. 18.-21.9.2014 Participation in the International meteor conference in Giron, France. September 2014 Presentation of the society at elementary schools in Valpovo and Belišće. August 2014 Participation in the Višnjan School of Astronomy, leading the meteor group. 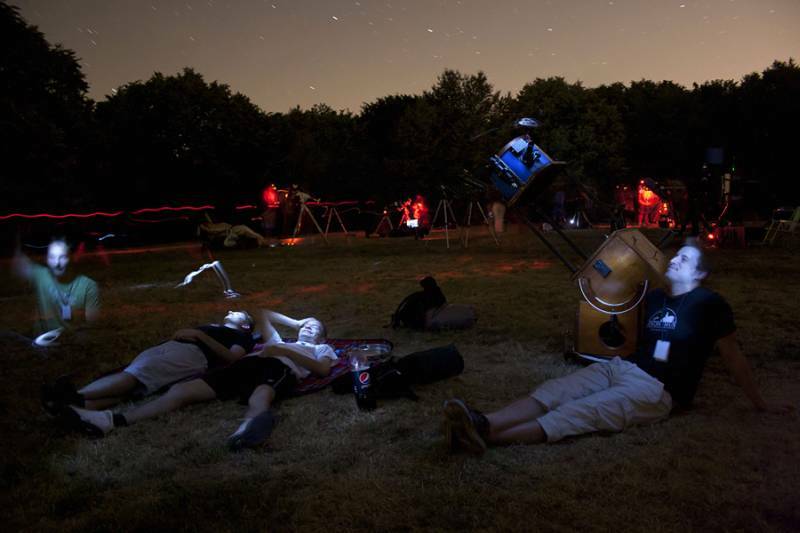 July 2014 Participation in Letenka astronomy camp, Serbia. 14.6.2014 Participation in Days of Technology in Belišće. 9.5.2014 Observation for children in kindergarden “Dandelion” in Belišće. 5.4.2014 Participation in 5. Fair of Clubs and Societies in Belišće. 26.2.2014 Lecture, observation of the Sun and workshops for 1th-4th grade students of Elementary School Petrijevci. 25.-26.2.2014 Night sky observation and photography from the Papuk mountain, near Duzluk. February 2014 Web page redesign. 19.1.2014 Unauthorized intrusion into society’s headquarters, laptop and photo equipment were stolen. 21.12.2013 Yearly assembly of the society. 23.11.2013 Participation in the Electoral Assembly of the Croatian Astronomical Union. 4.10.2013 – 10.10.2013 Celebrating the World Space Week. 4.10.2013 – 6.10.2013 Participation in the First Meeting of Croatian Astronomical Societies in Mali Lošinj. 2.10.2013 Invited guests for the radio show interview of the Croatian Radio Valpovština. September 2013 As part of the presentation of activities within ZTKVB, visit to the elementary schools M.P. Katančić Valpovo, I. Kukuljević Belišće and Ladimirevci. 22.8.2013 – 25.8.2013 Participation in the International meteor conference in Poznan, Poland. 7.8.2013 – 17.8.2013 Participation in the Višnjan School of Astronomy, leading the meteor group. 19.7.2013 – 20.7.2013 Participation in the Meeting of Astronomical Societies on the Perun mountain, near Vareš (Bosnia and Herzegovina). 22.6.2013 Dr. sc. M. Filipović held a lecture “Sparse representations of signals for information recovery from incomplete data” at the society headquarters. 8.6.2013 Days of Technology held in Belišće, observation of the Sun and education for citizens. 5.6.2013 Participation in the Little Science Festival in kindergarten “Maza” Valpovo. 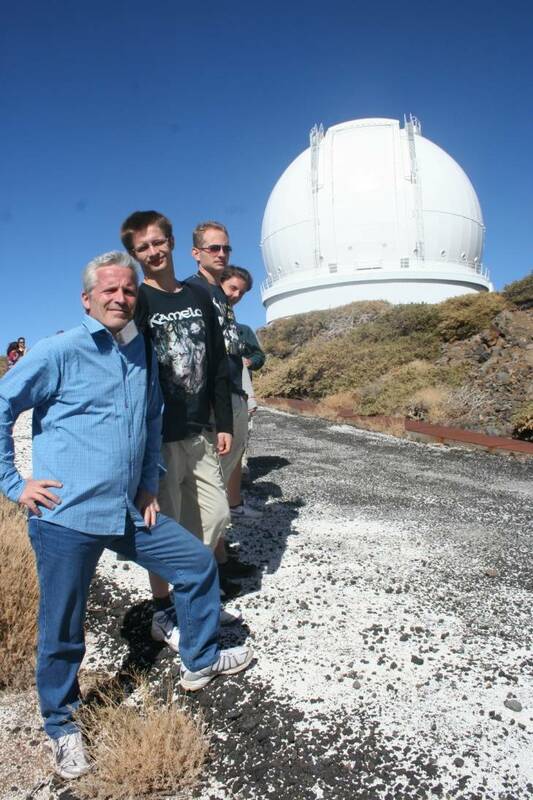 20.9.2012 – 23.9.2012 Participation in the International Meteor Conference on La Palma, Spain. Presented a lecture „A Possible New Meteor Shower Detected from CMN and SonotaCo Data“. 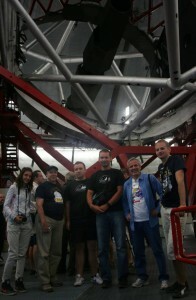 Visit to the world’s largest optical telescope: Gran Telescopio Canarias. 12.8.2012 – 20.8.2012 Participation in the Višnjan School of Astronomy organized by Science and Education Center Višnjan, leading the meteor astronomy group. There were students from Croatia, Serbia and Romania. During the school, a new meteor stream was discovered – Zeta Cassiopeids, the first stream discovered from Croatia. 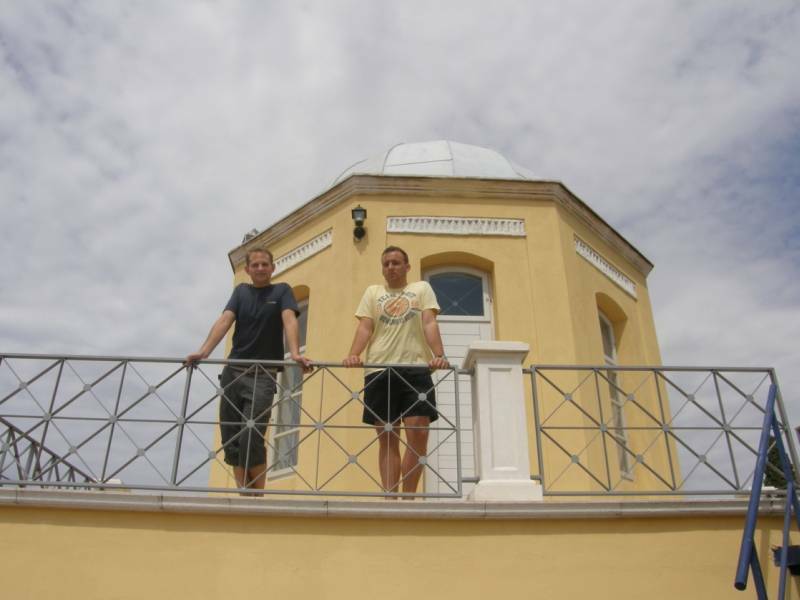 9.8.2012 – 12.8.2012 Visit to the Pula Observatory, working on the projects of the Croatian Meteor Network led by Damir Šegon. 19.7.2012 – 22.7.2012 Participation in Astronomy Camp Letenka on Fruška gora mountain in Serbia. 6.6.2012 Observation of the last Venus solar transit of our lives from locations in Zagreb, Osijek and Valpovo. 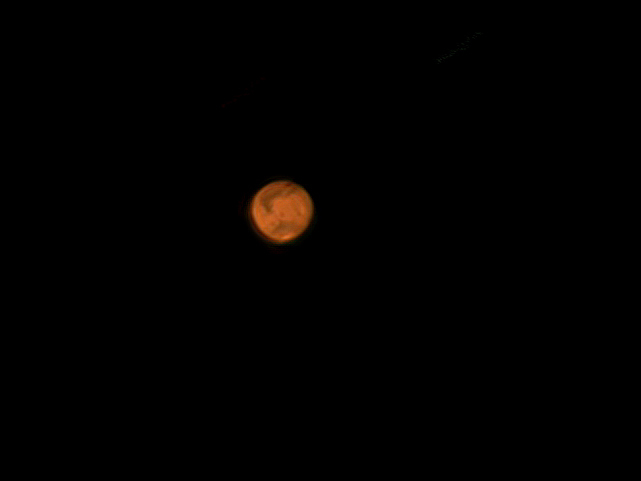 25.2.2012 Photograhic and video observations of Mars. 27.1.2012 Visit to the School Observatory in Požega. 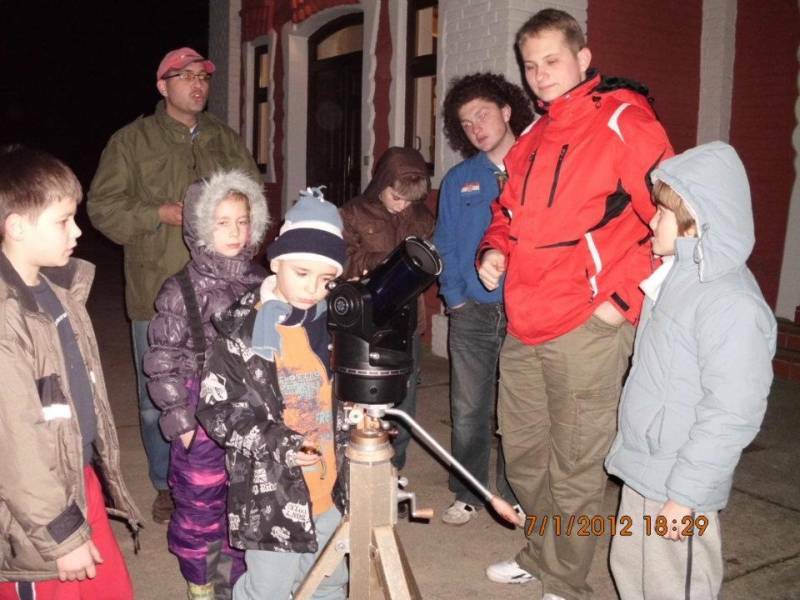 7.1.2012 Astronomy lecture for members of the scout squad Iovallios Valpovo.